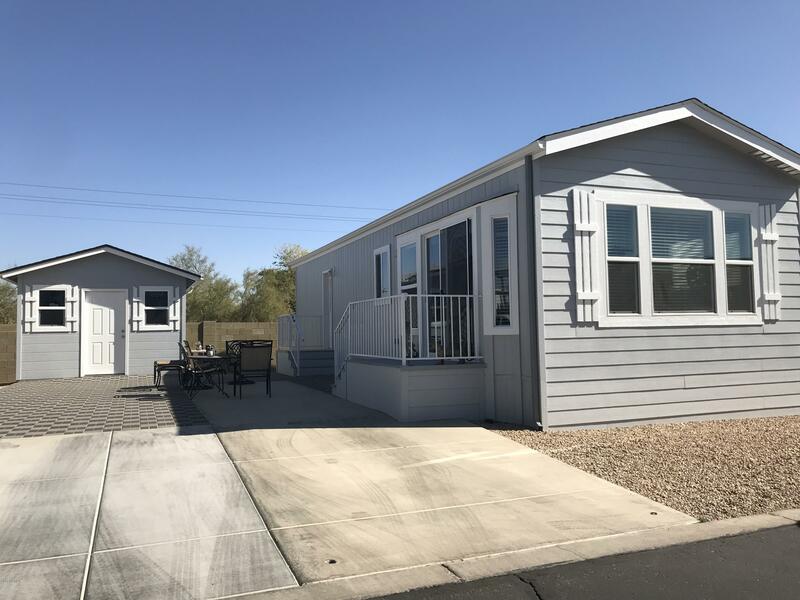 All HAPPY TRAILS RESORT NO 9 homes currently listed for sale in Surprise as of 04/23/2019 are shown below. You can change the search criteria at any time by pressing the 'Change Search' button below. "PRICED TO SELL!! This is NOT Your Ordinary Resort Singlewide Home!! Wow, will be the first thing you say when you walk into this home. Custom Built, Like New! All Modern! White Cabinets, Crown Molding, Farmers Sink, Glass Show Cabinets, RO System, Water Softer, All Appliances Included and Partially Furnished !16'' wide, 45' long, 2x6 construction.10x12 Custom Built Shed that is insulated and Sheet Rocked. Huge Paver Patio. You just have to see this home to appreciate it!! A Place You Will Be Pr"